Good news! 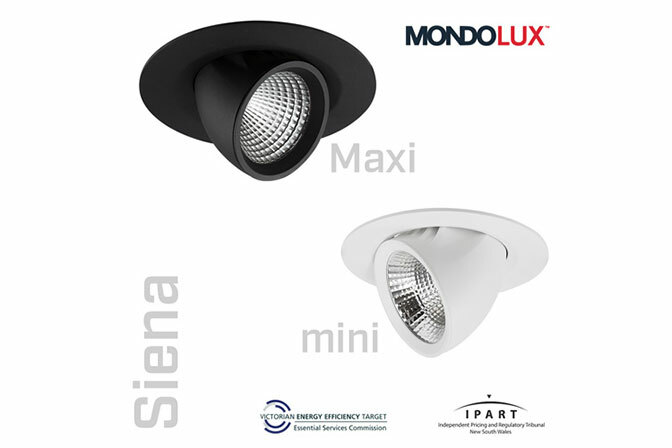 Aglo Systems has recently received the VEET and IPART approvals for their hot selling Mondolux downlights Siena Mini and Siena Maxi. Aglo Systems show great interest in offering their customers a broad range of choices amongst the VEET and IPART approved products category. Thanks to our immense retail lighting know-how we have found a perfect product for any situation adapting to any existing cut out and snorkel of flushed. These downlights can be tilted up to 70° to achieve the perfect emphasis that your setting needs. The products showcase exceedingly high efficacy of >115lm/W and can achieve luminous flux values as high as 5000lm. The Siena family accommodates a wide range of wattages from 11W to 43W and offers diversified optics across multiple beam spreads. Aglo Systems is continually striving for solutions that provide the latest technologies and highest efficiencies, whilst ensuring both products and installation meet Australian Standards. Our lighting efficiency upgrades team has a solid record working with many high-profile customers throughout Australia and achieves outstanding results. For free consultation on the entire Government rebate process, give us a call today!